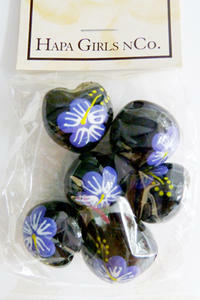 Loose Kukui Nuts are provided with holes predrilled for your lei making or Custom arts and crafts project. These go great on purses, key chains, wedding favors or invitations, or any other exciting project where you want to give it a hawaiian flare. Holes are drilled using a 1/8 inch diameter bit and may be slightly bigger due to the odd shape of the loose kukui nut.